Probably the worst celebrity endorsement of The Drove so far. Thanks anyway Miley, keep reaching for that rainbow! 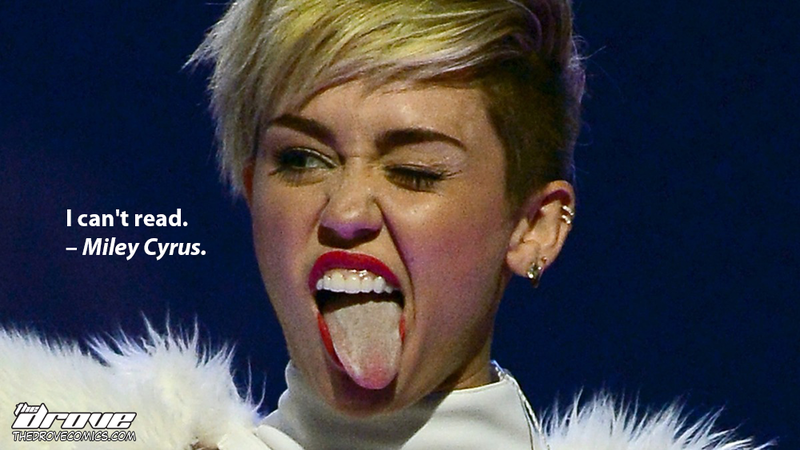 This entry was posted in Real Celebrity Quotes and tagged celebrity quote, comic, Disney, drove, hannah montana, illiteracy, illiterate, Miley, Miley Cyrus, real celebrity quote, sci-fi, the drove, thedrove, tongue, twerk, twerking, webcomic. Bookmark the permalink.